Product #5708 | SKU FAF51101 | 0.0 (no ratings yet) Thanks for your rating! The Nikon DK-9 Rubber Eyecup fits Nikon N80 SLR cameras, easily mounting to the viewfinder; it provides a comfortable surface for the area around your eye, preventing scratches or damage to your eyeglasses. 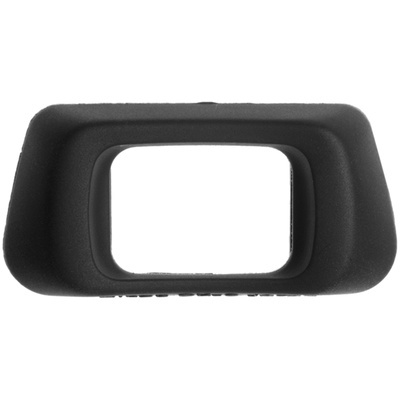 The eyecup is made of soft durable rubber that will provide the perfect spare or replacement. Box Dimensions (LxWxH) 4.3 x 2.6 x 0.1"